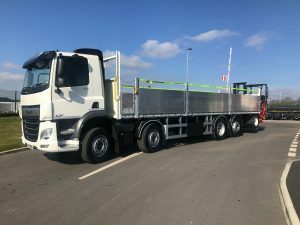 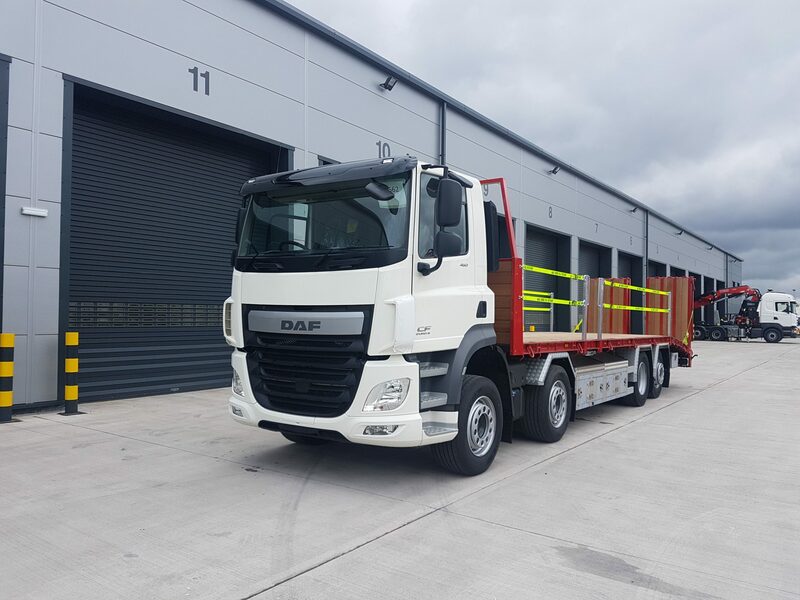 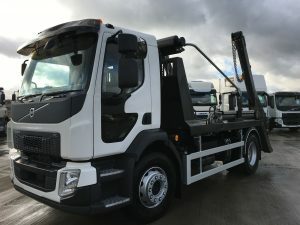 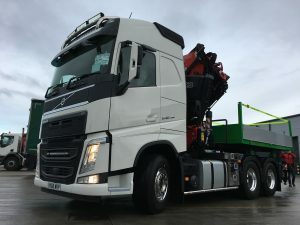 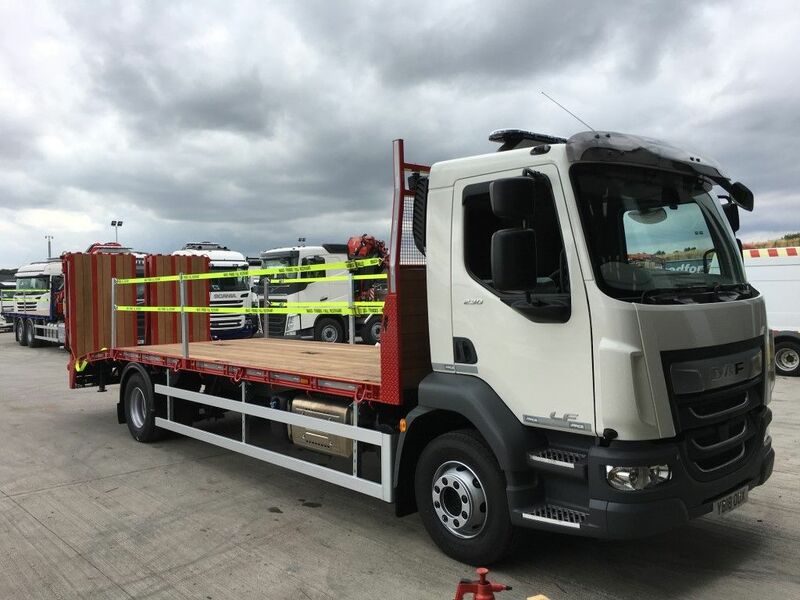 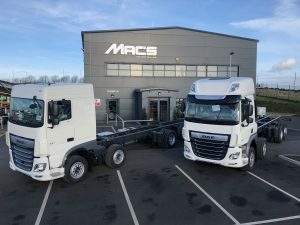 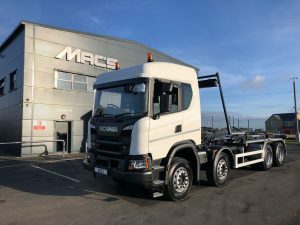 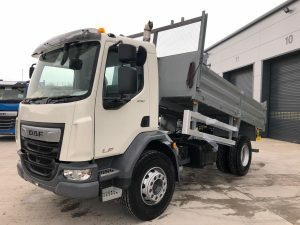 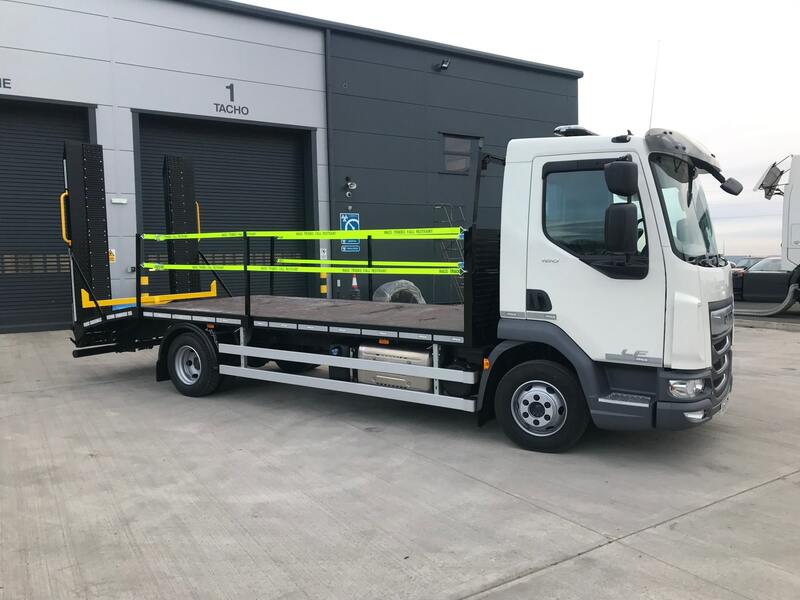 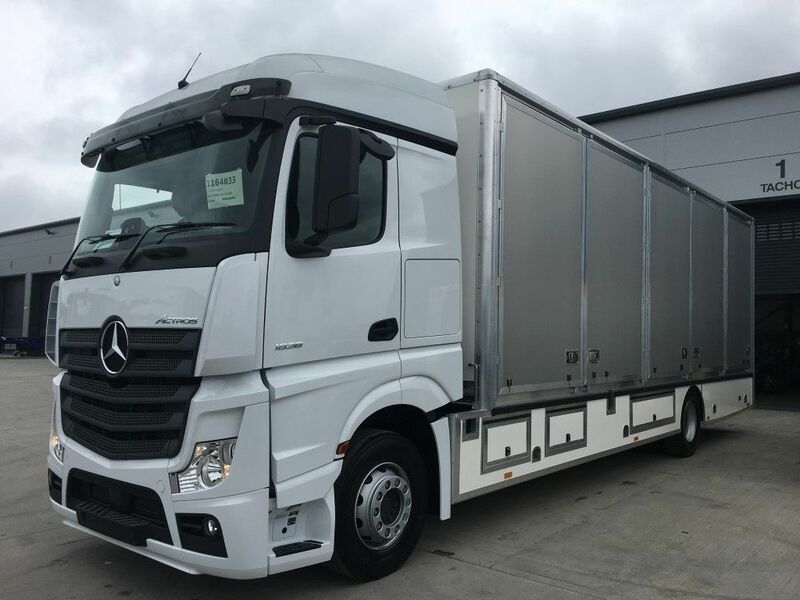 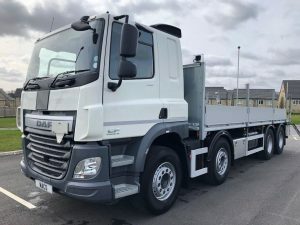 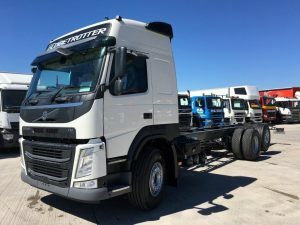 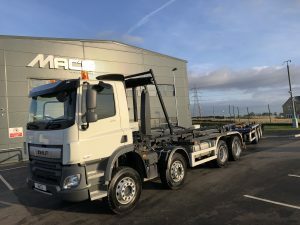 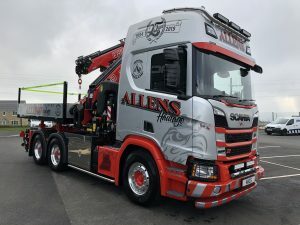 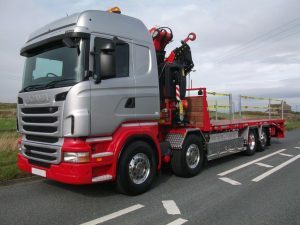 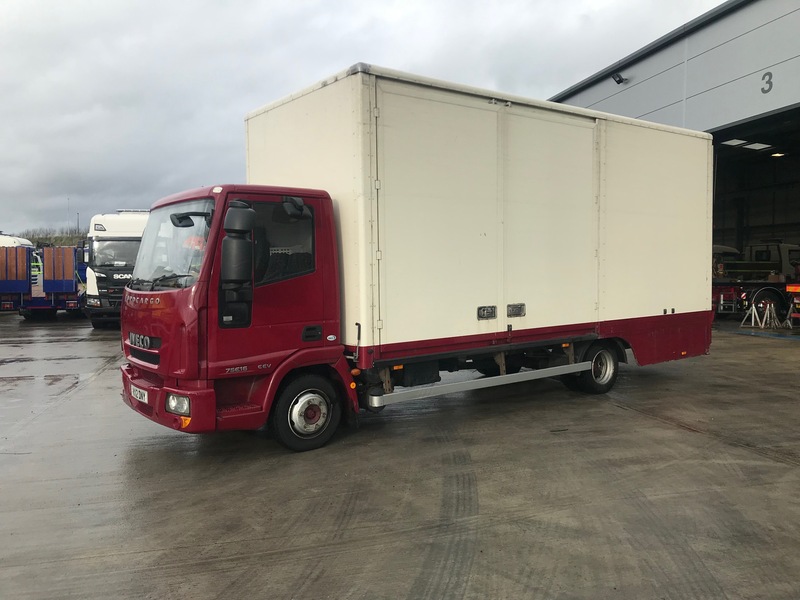 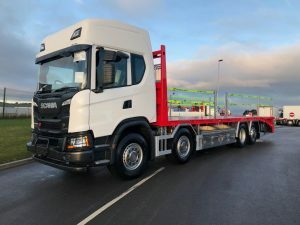 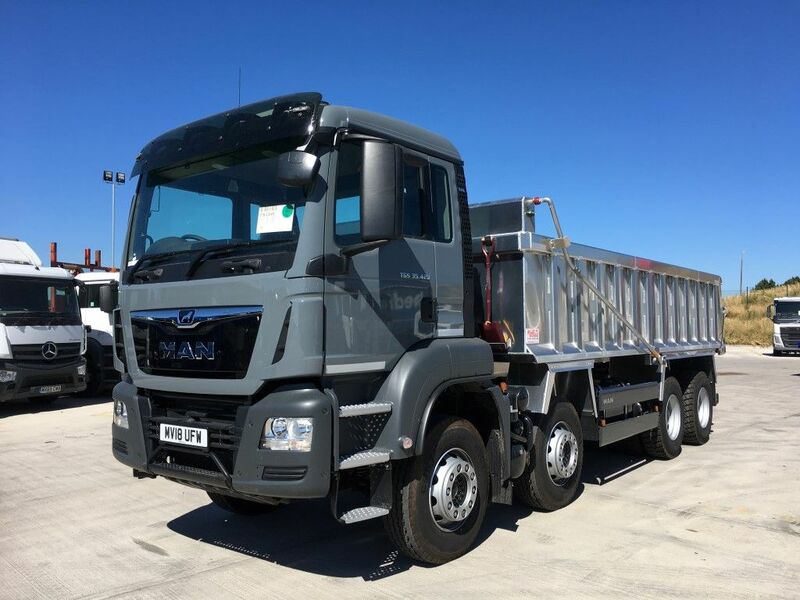 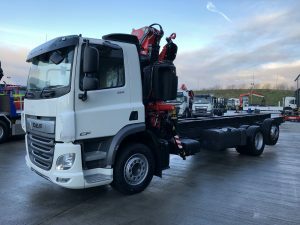 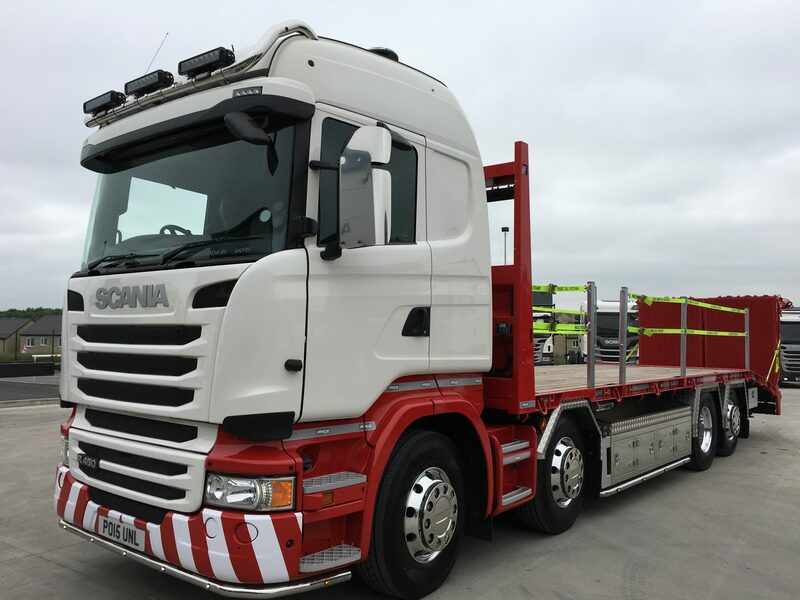 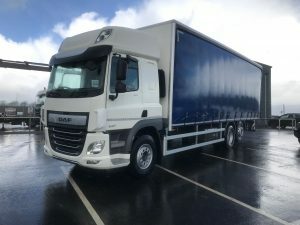 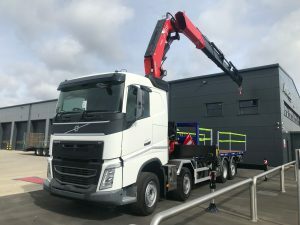 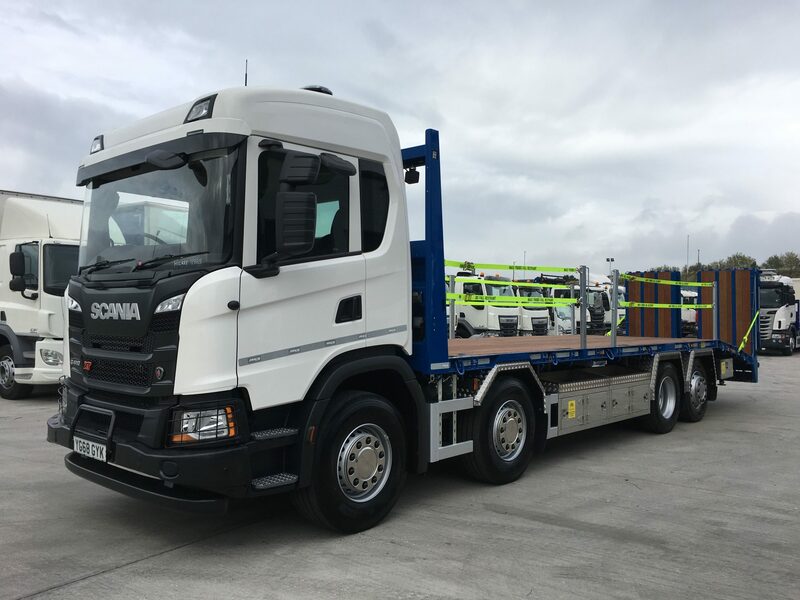 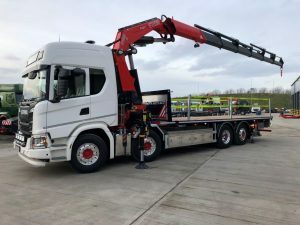 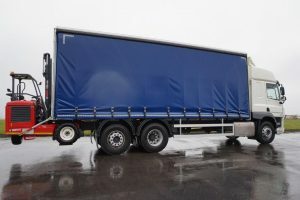 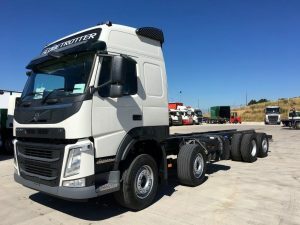 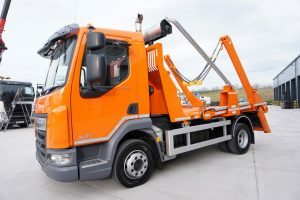 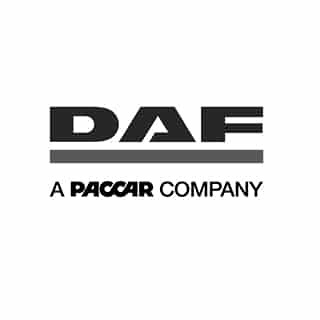 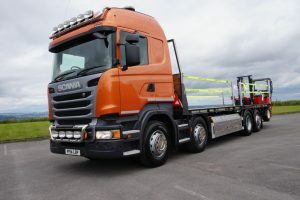 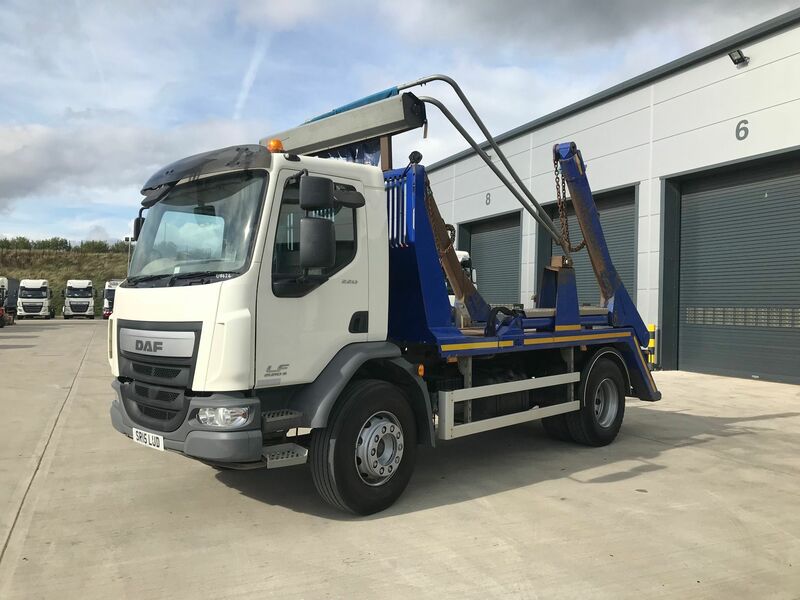 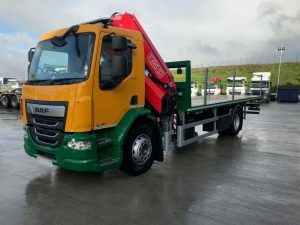 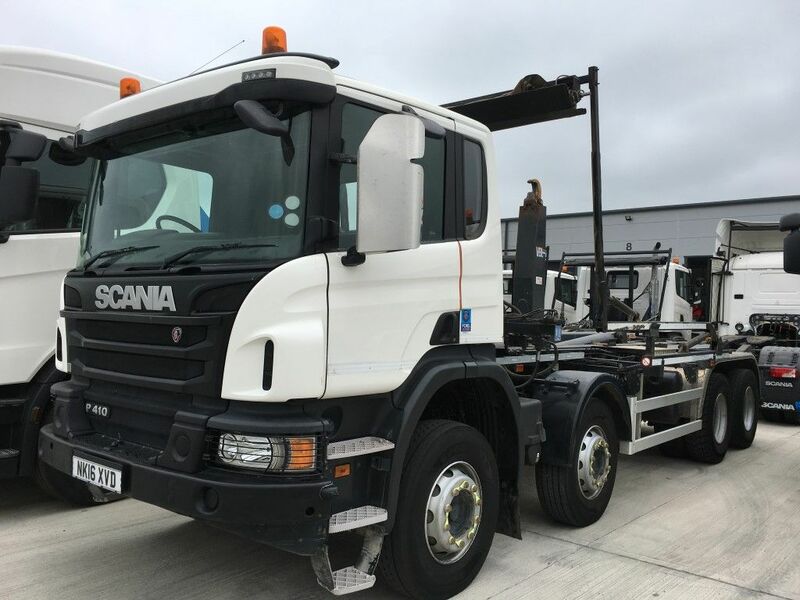 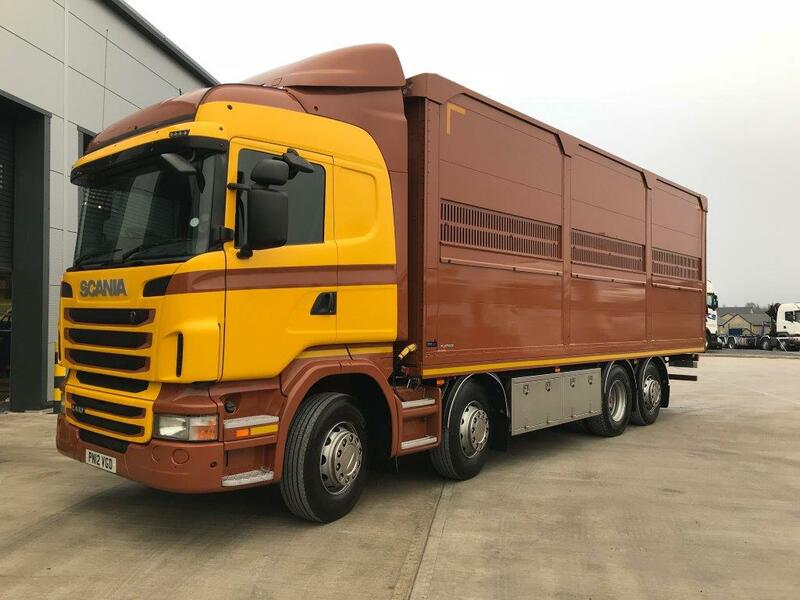 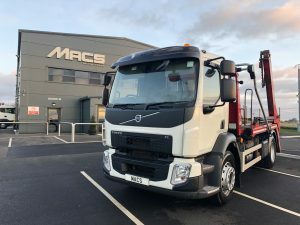 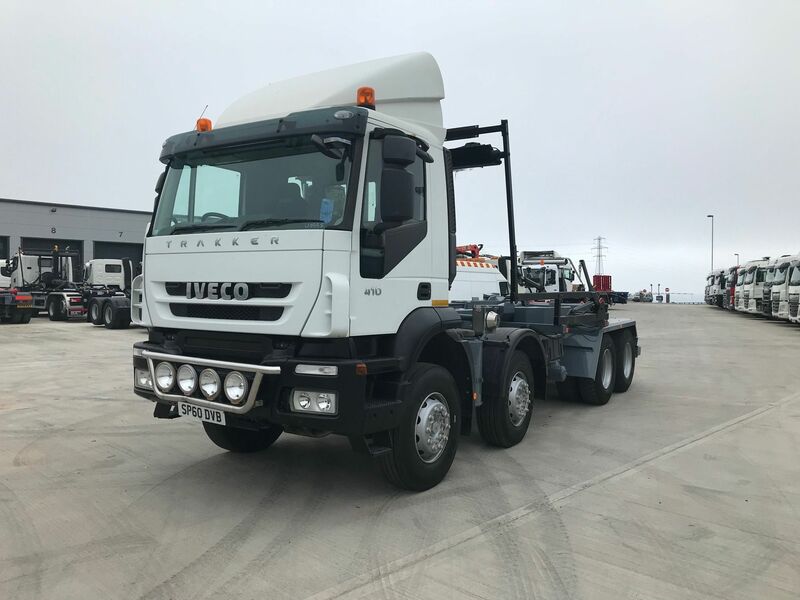 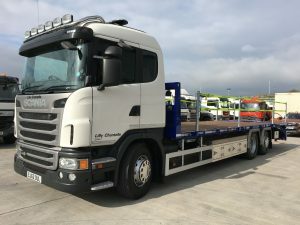 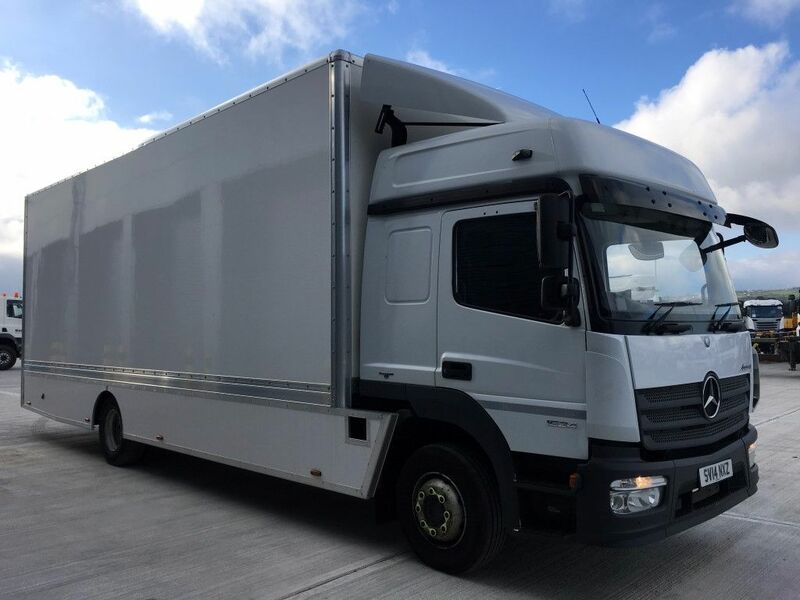 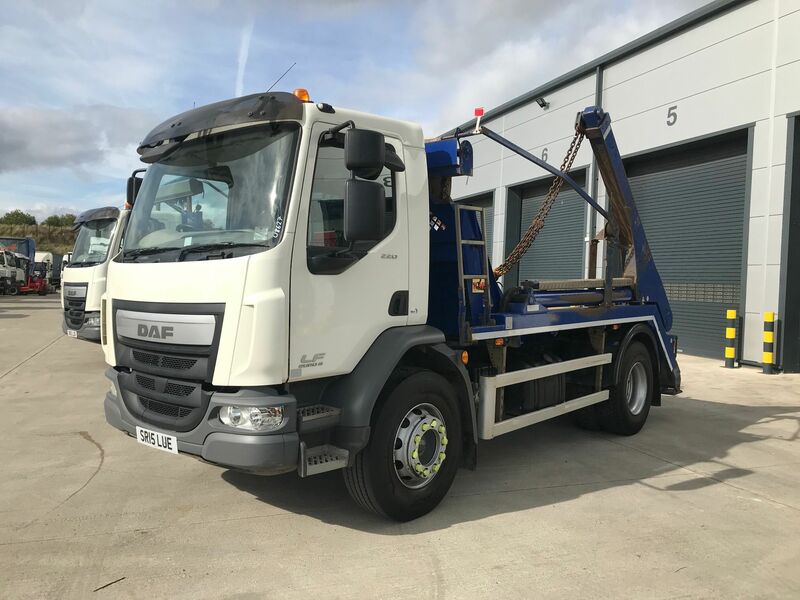 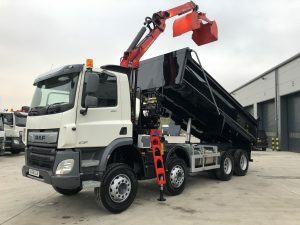 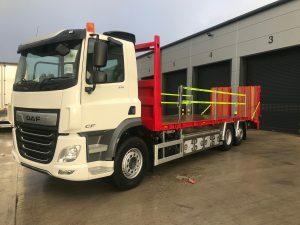 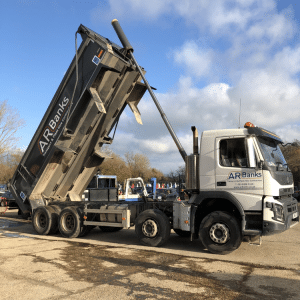 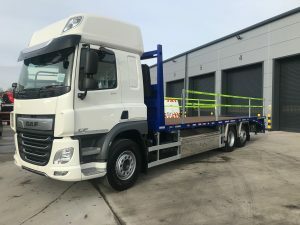 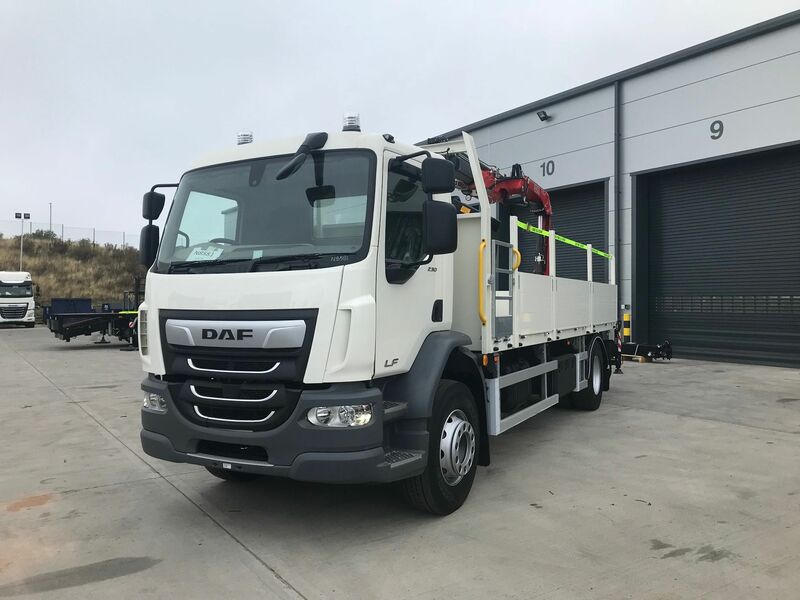 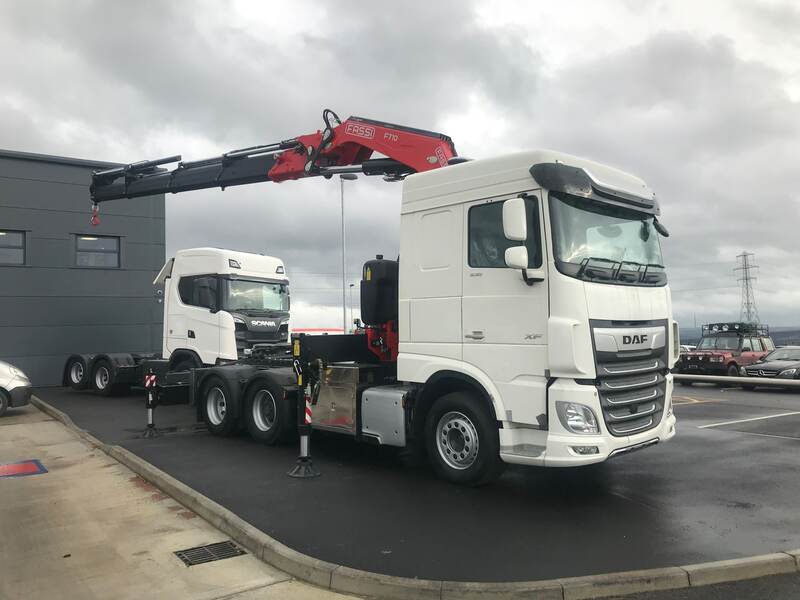 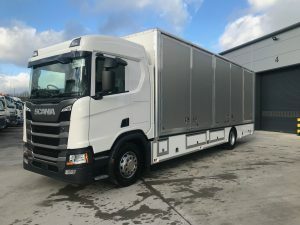 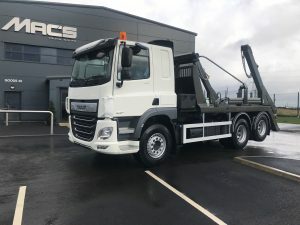 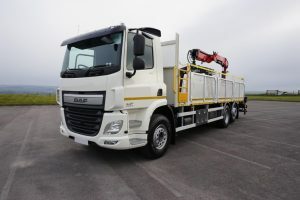 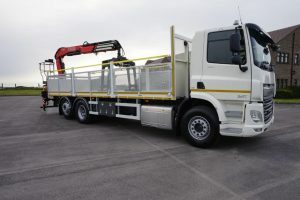 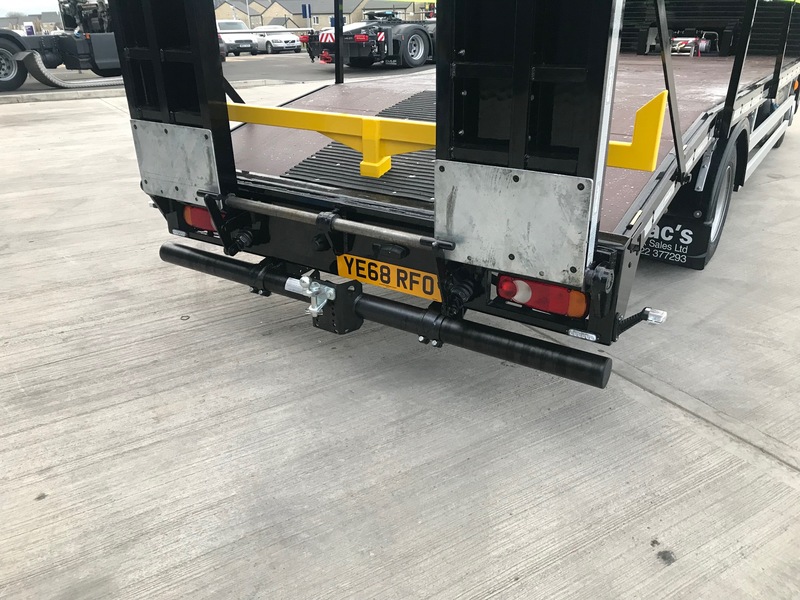 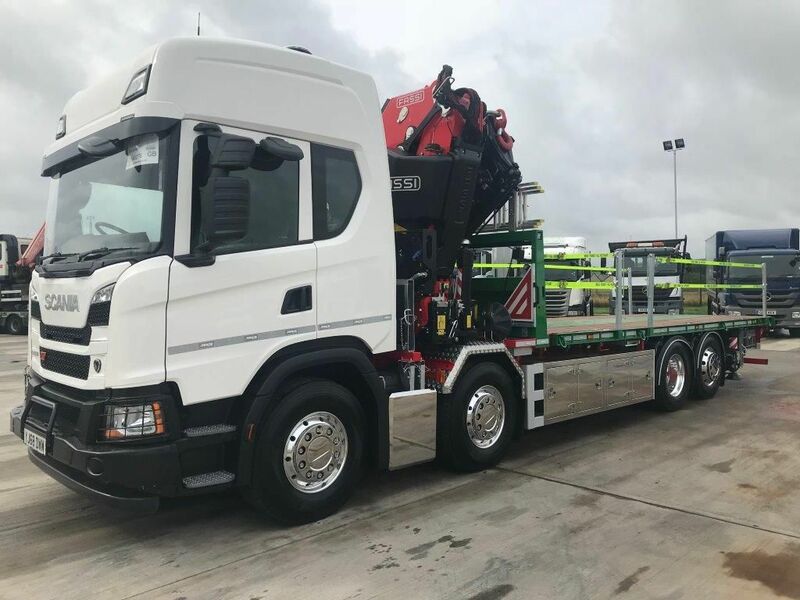 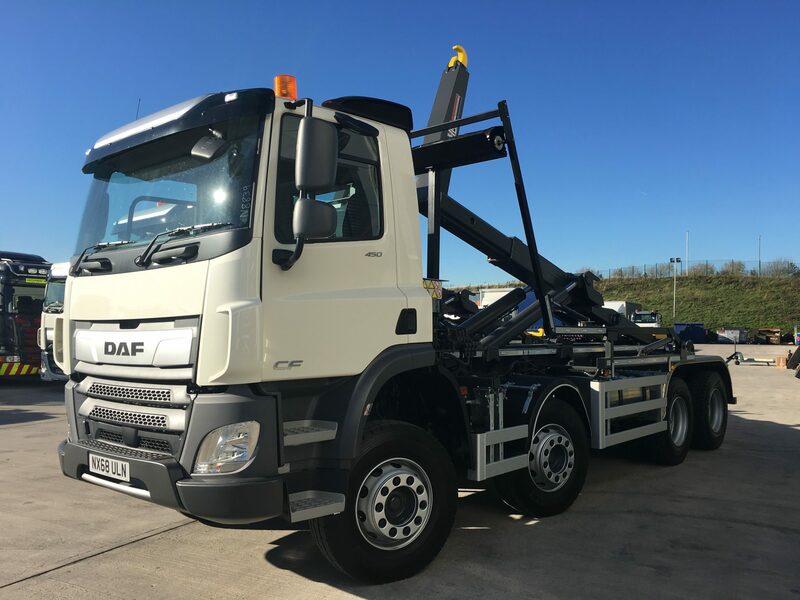 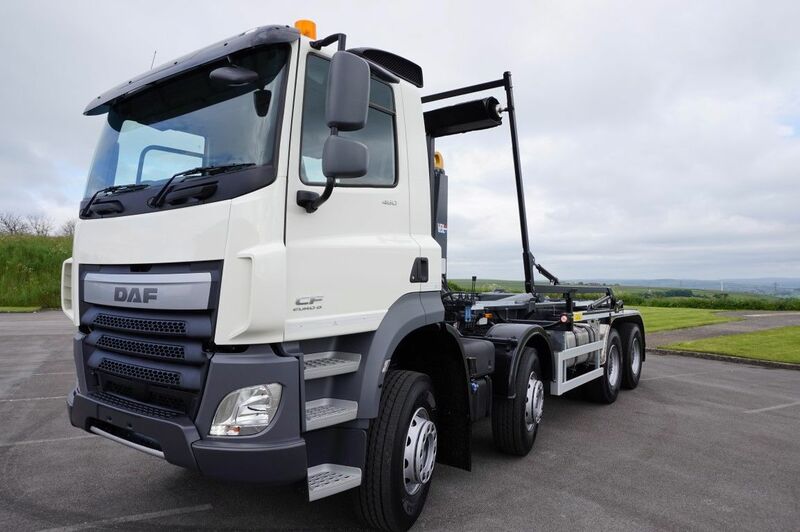 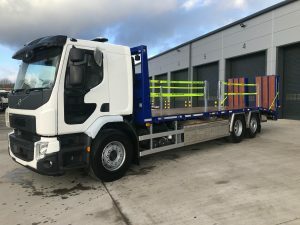 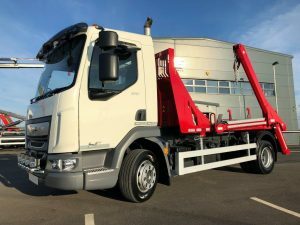 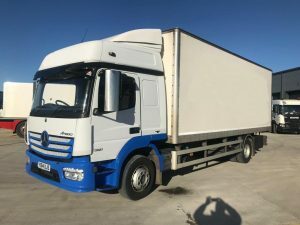 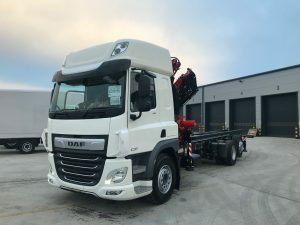 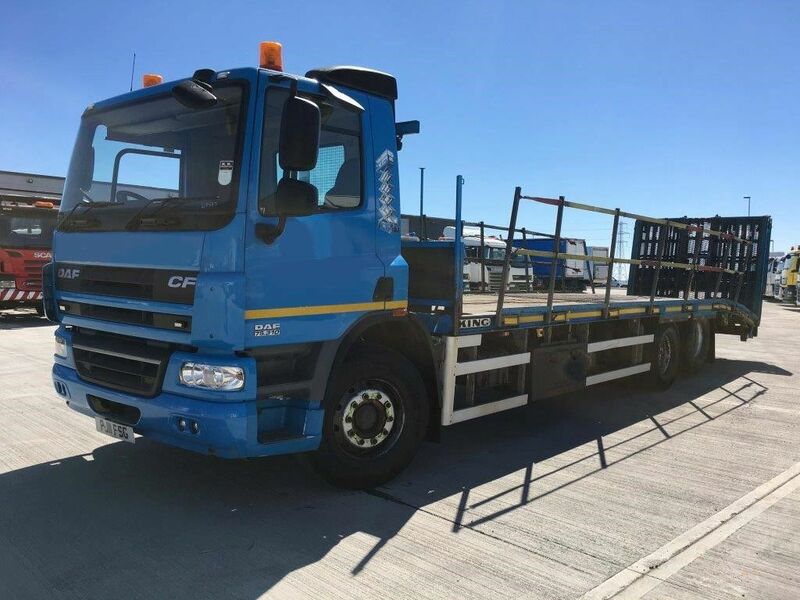 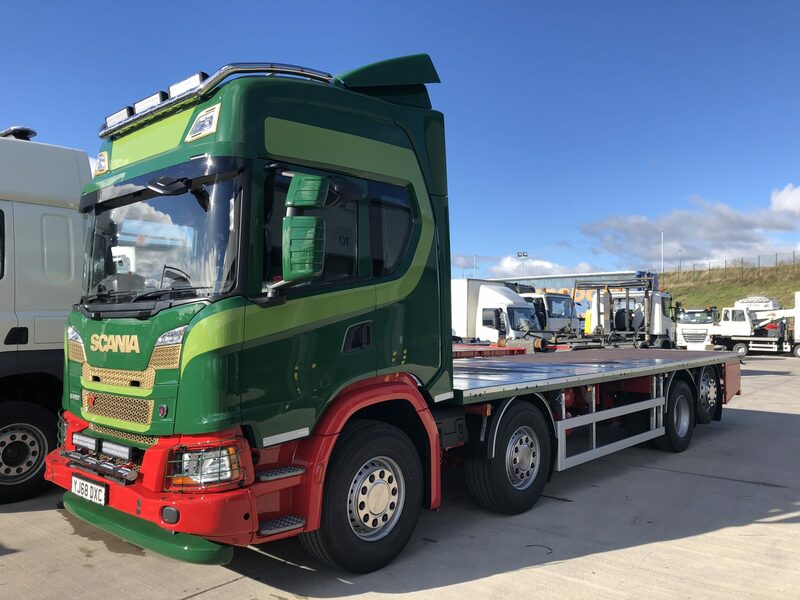 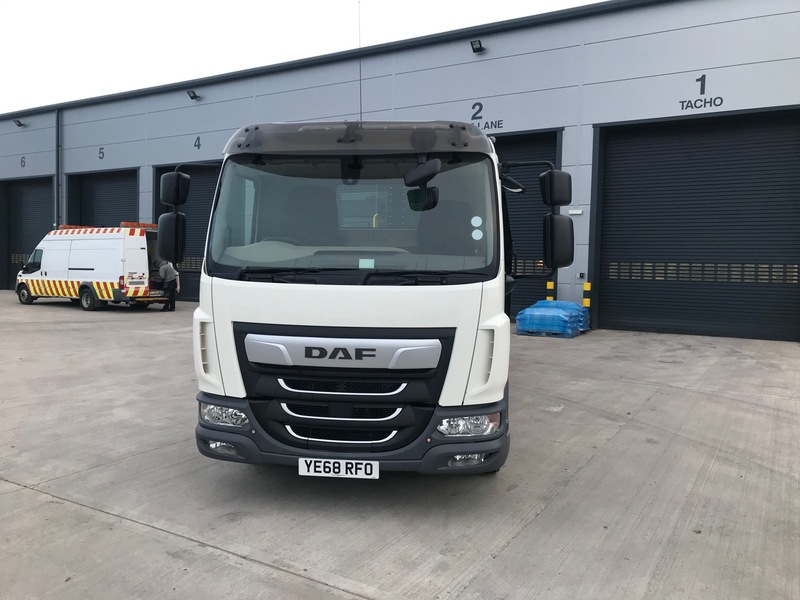 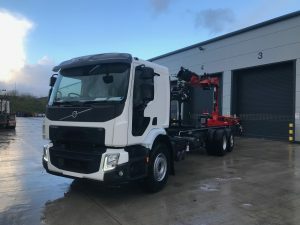 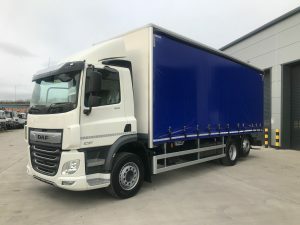 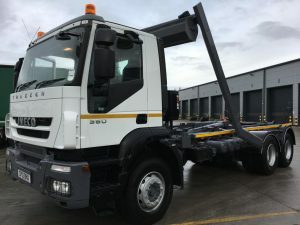 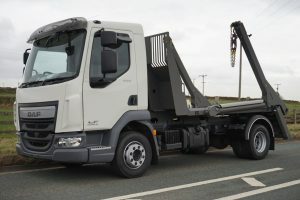 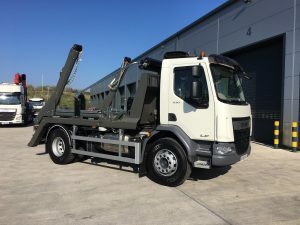 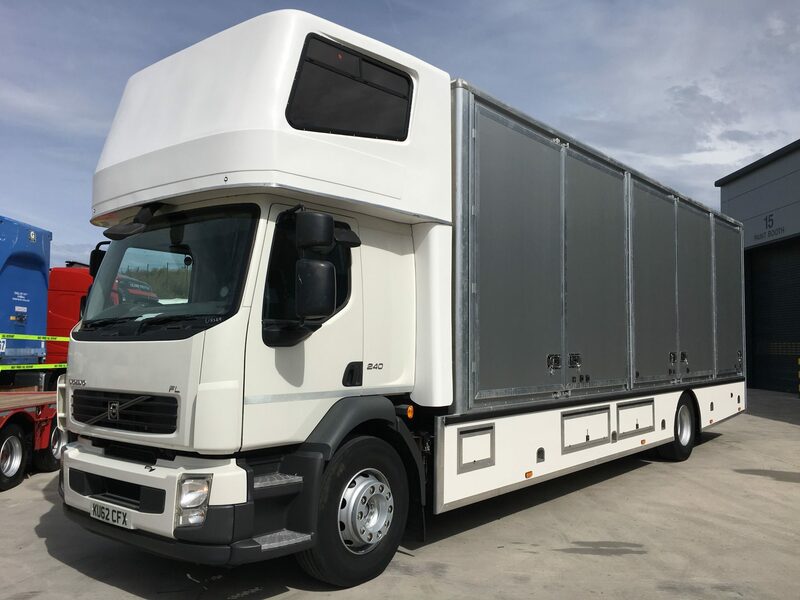 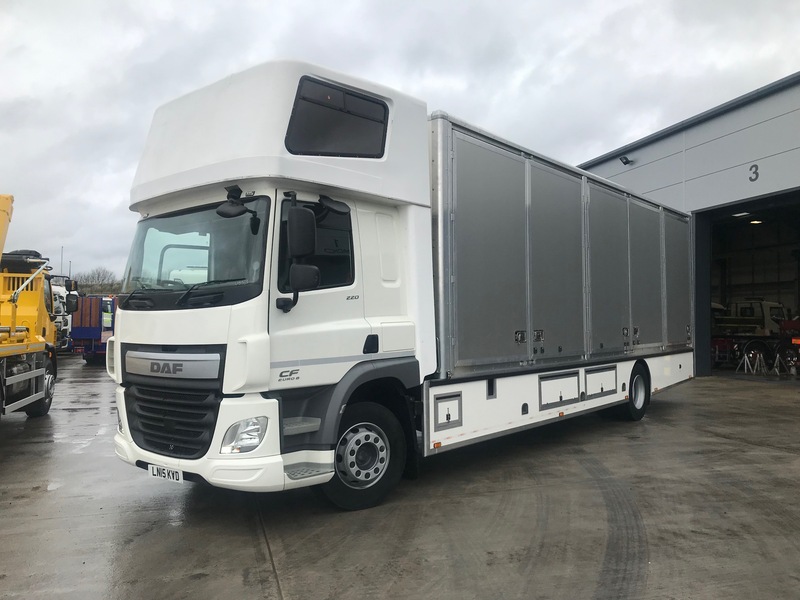 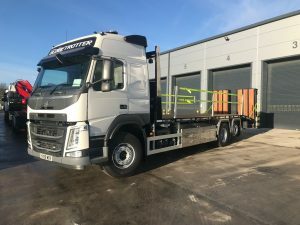 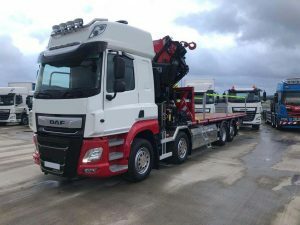 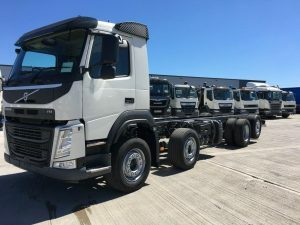 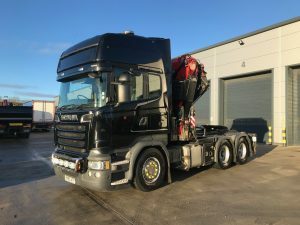 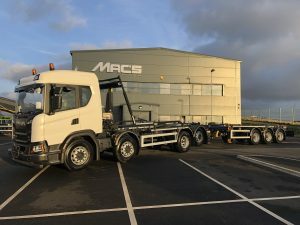 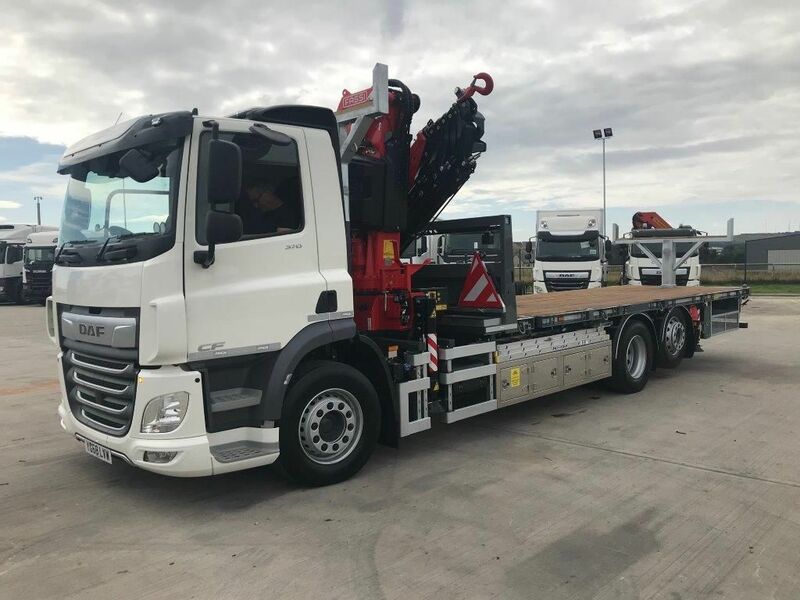 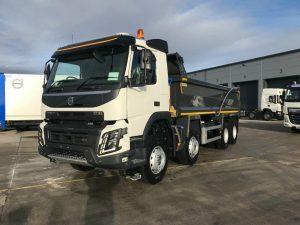 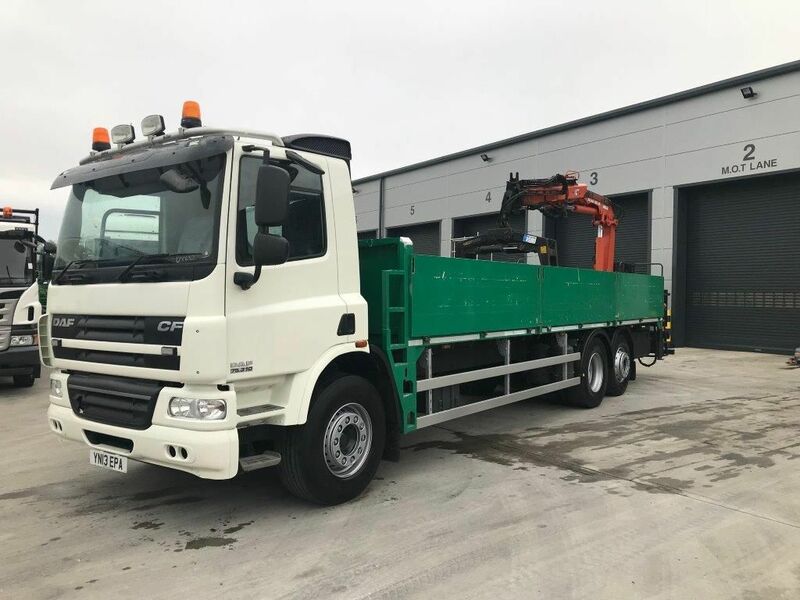 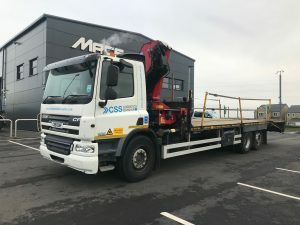 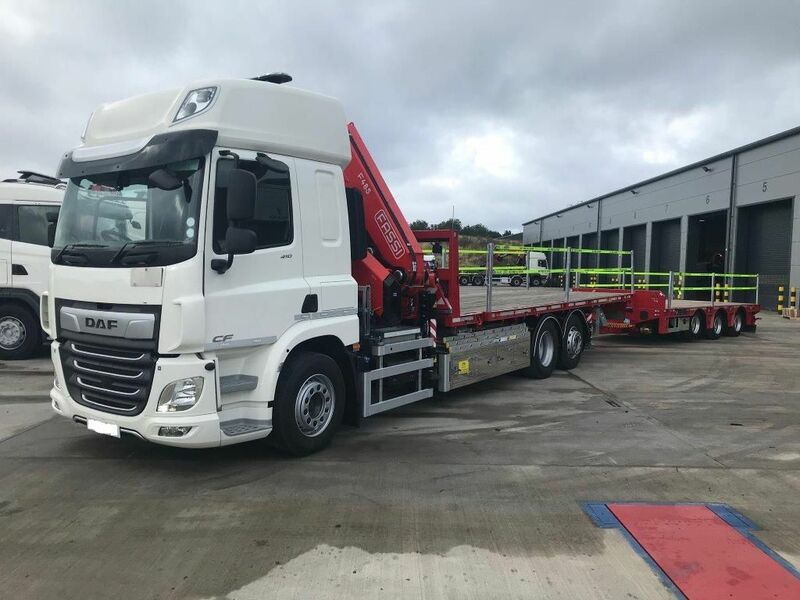 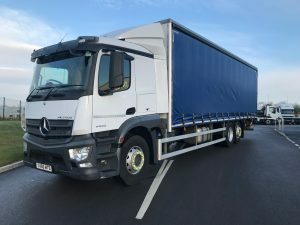 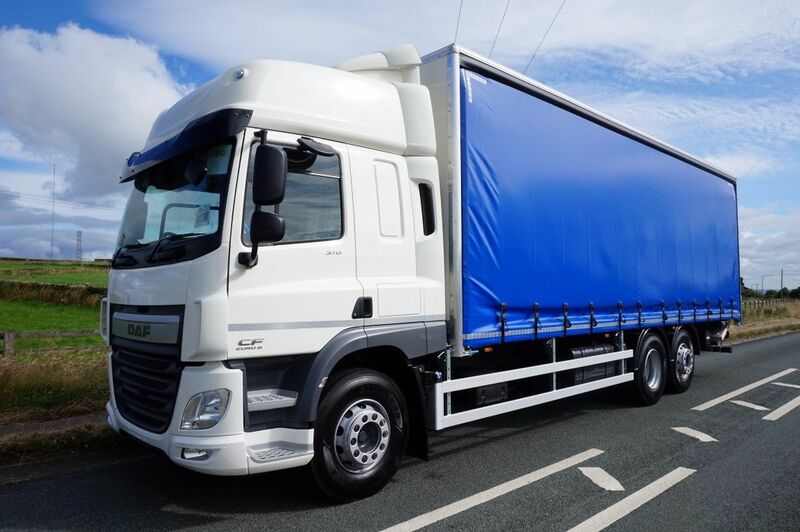 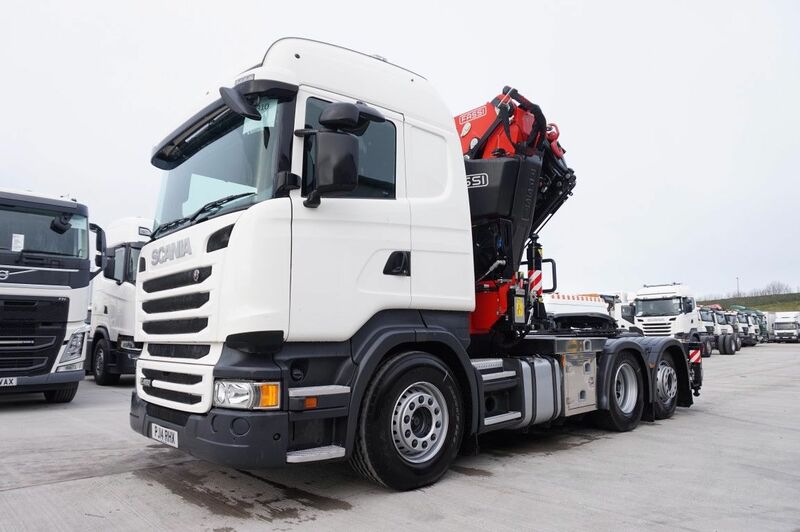 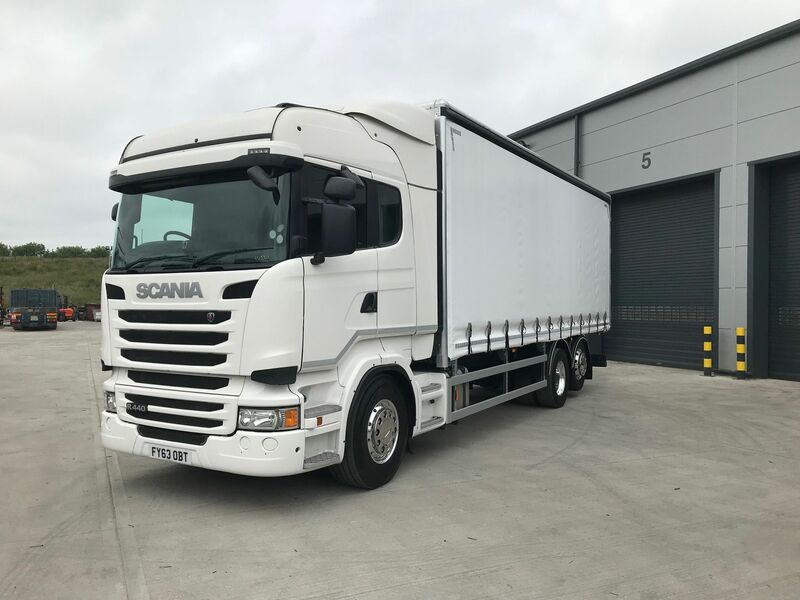 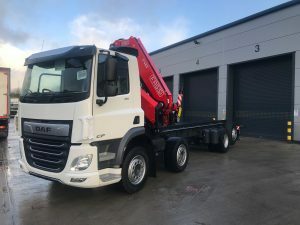 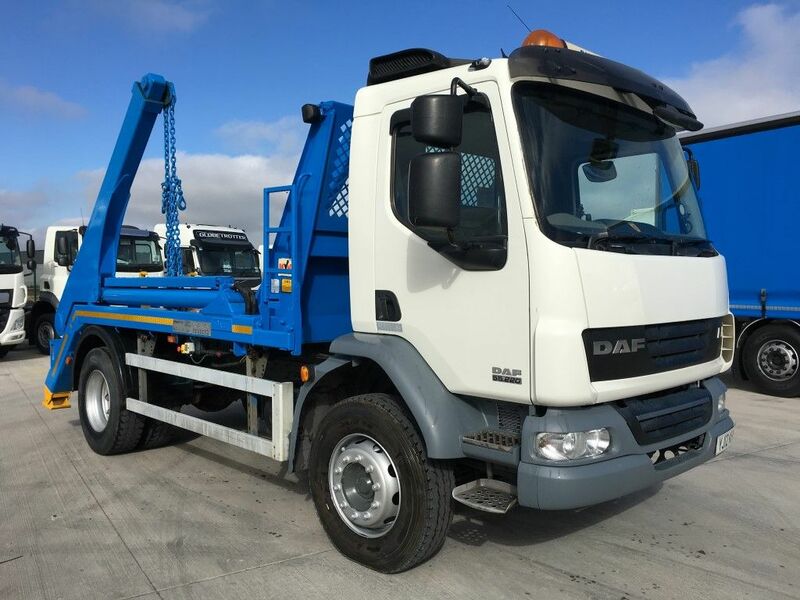 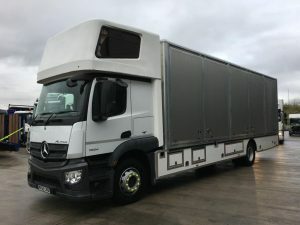 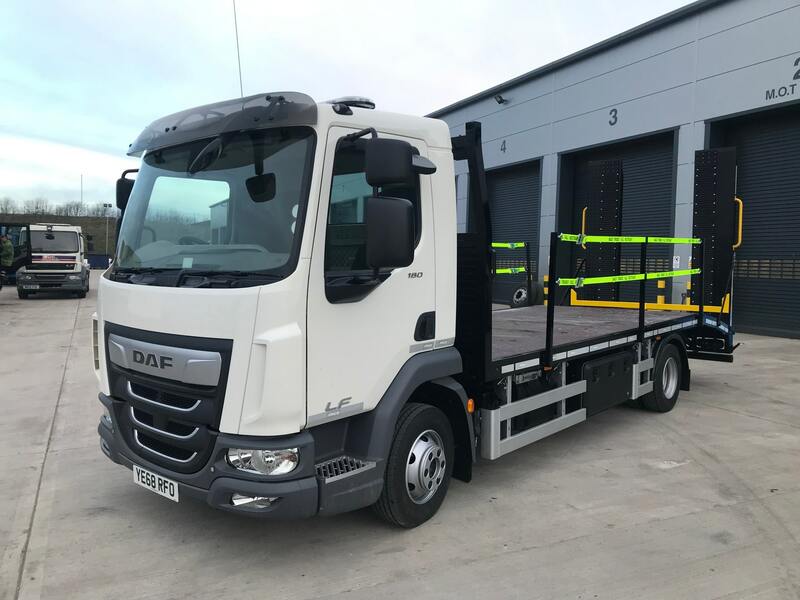 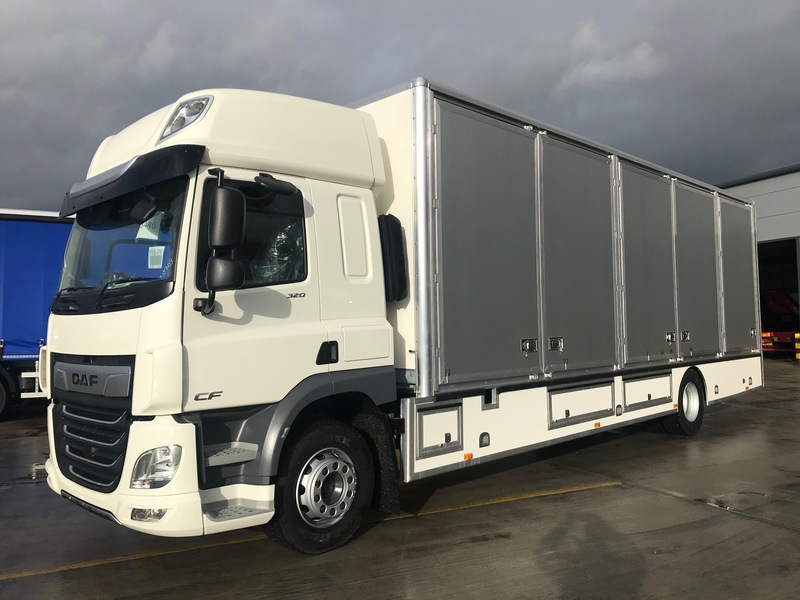 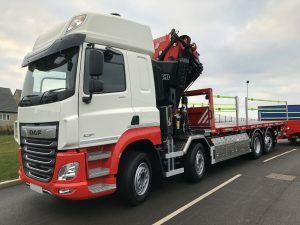 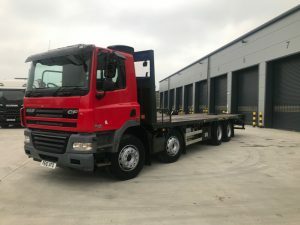 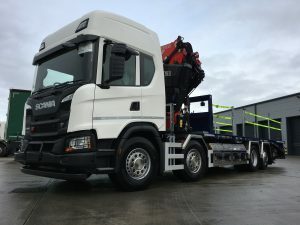 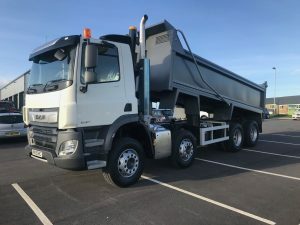 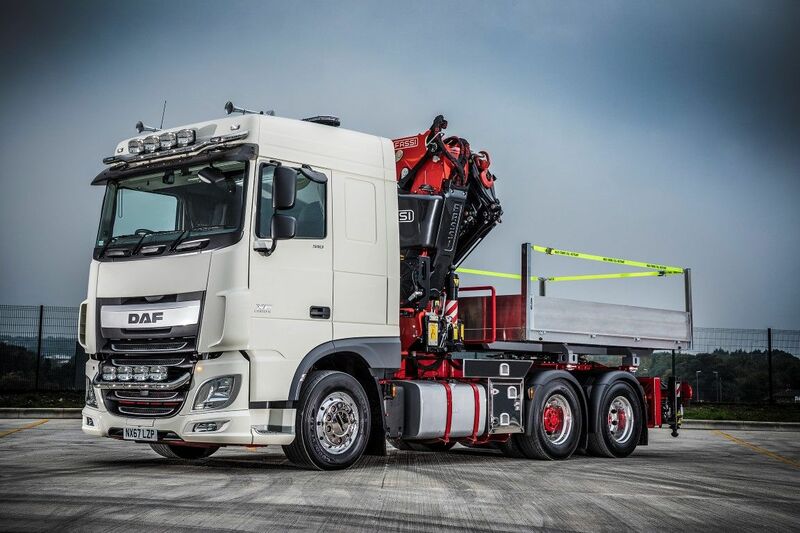 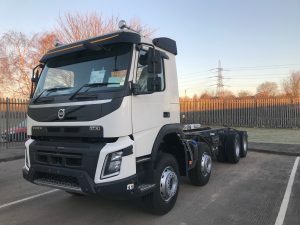 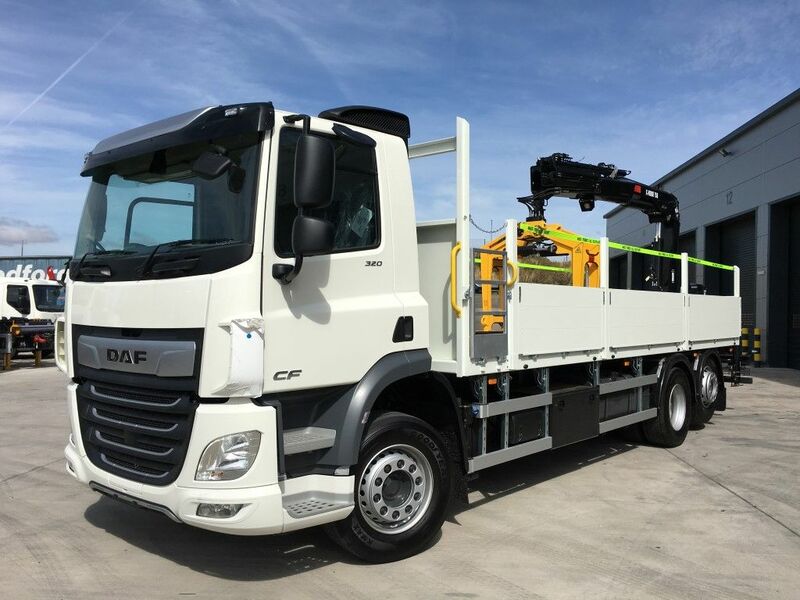 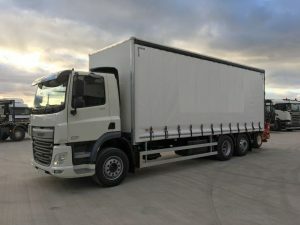 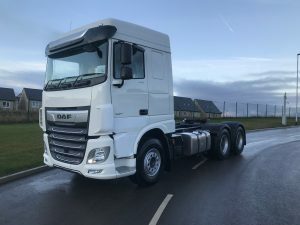 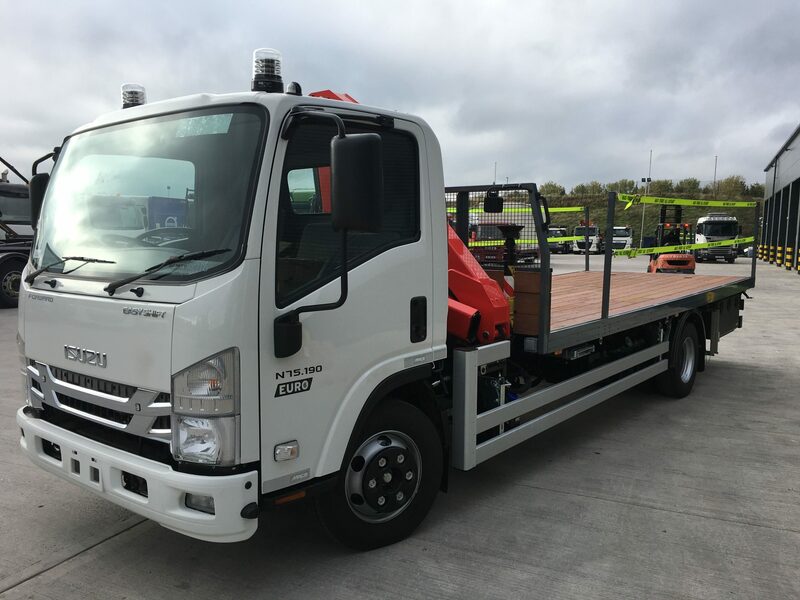 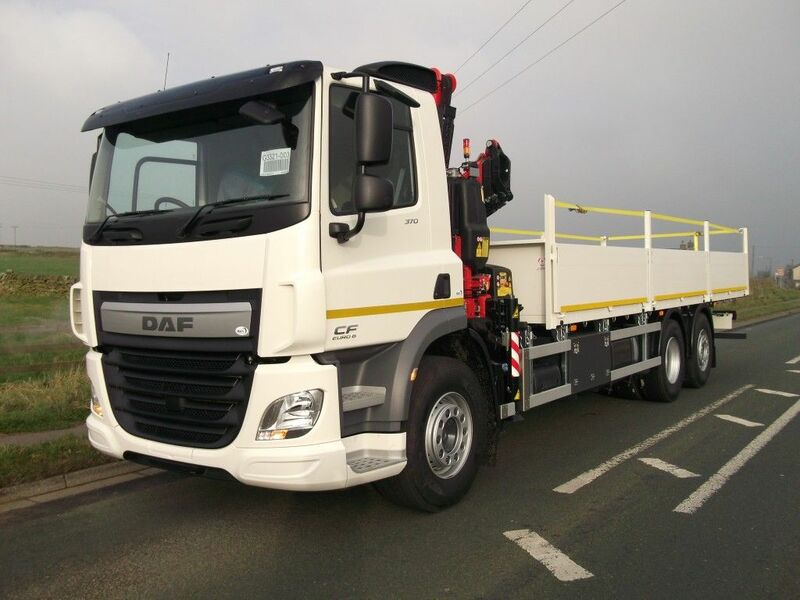 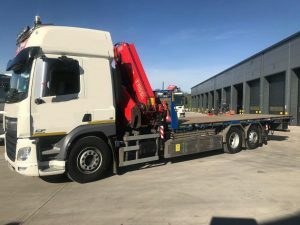 DAF (2019) LF180, 4 x 2, Day Cab fitted with 25 ft. Beavertail Body. 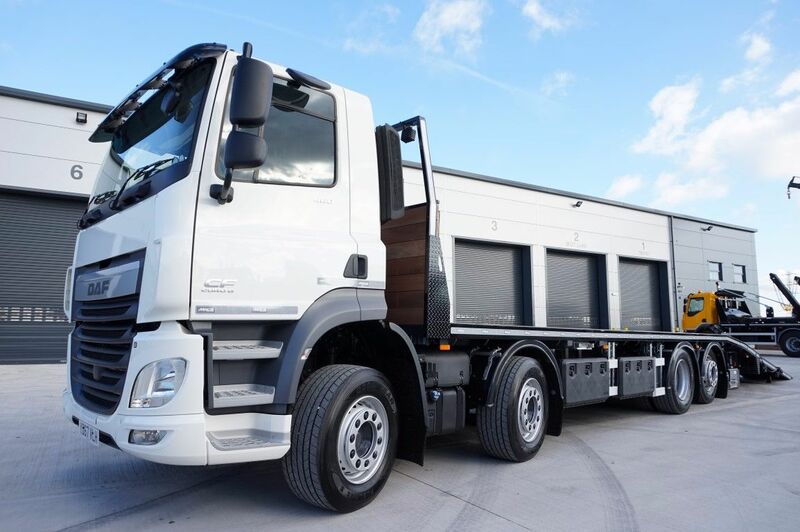 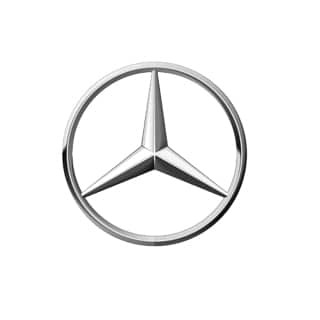 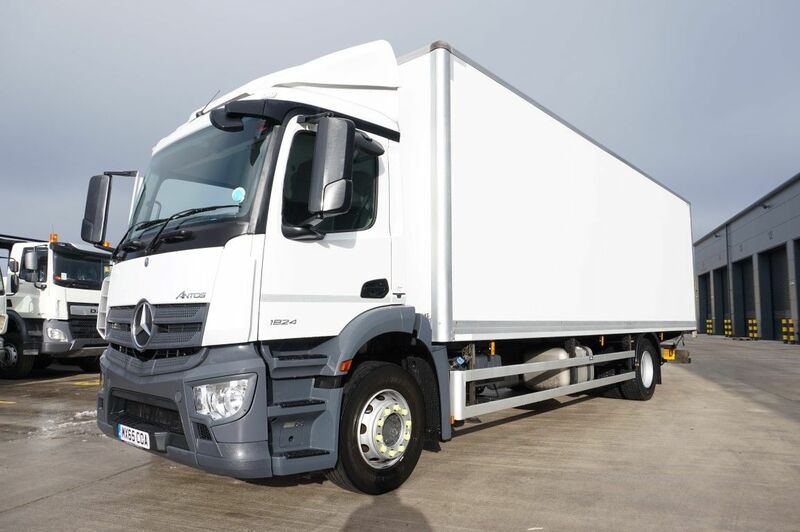 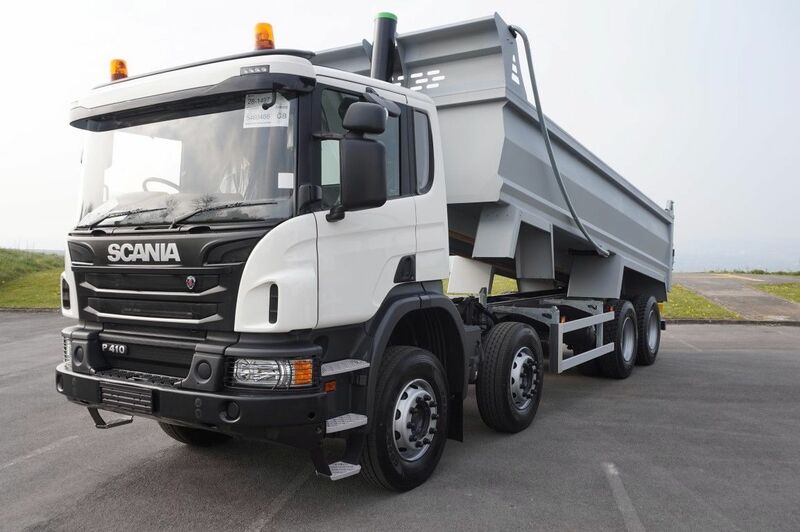 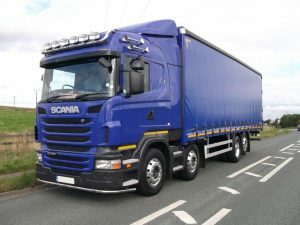 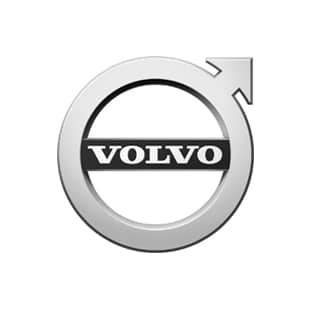 Comes with Euro 6 Engine, Rear Lift &; Steer, 9 Tonnes Front Axles, Air Conditioning, Electric Windows & Automatic Gearbox. 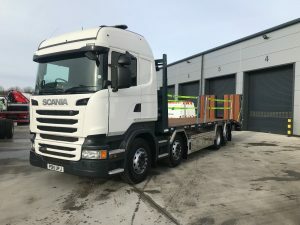 Built with 25ft. 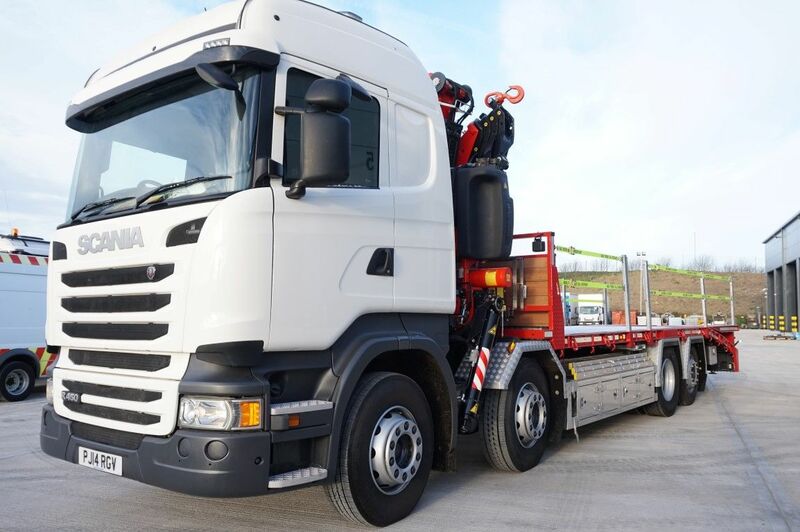 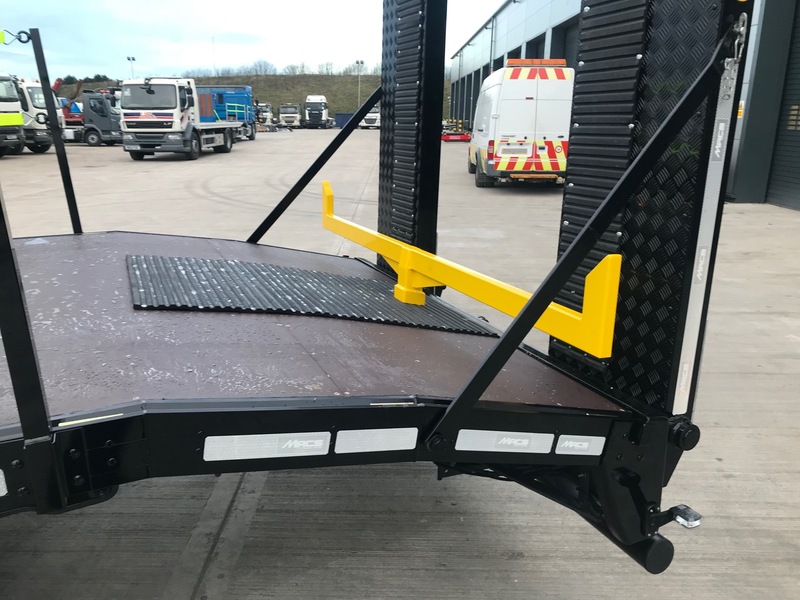 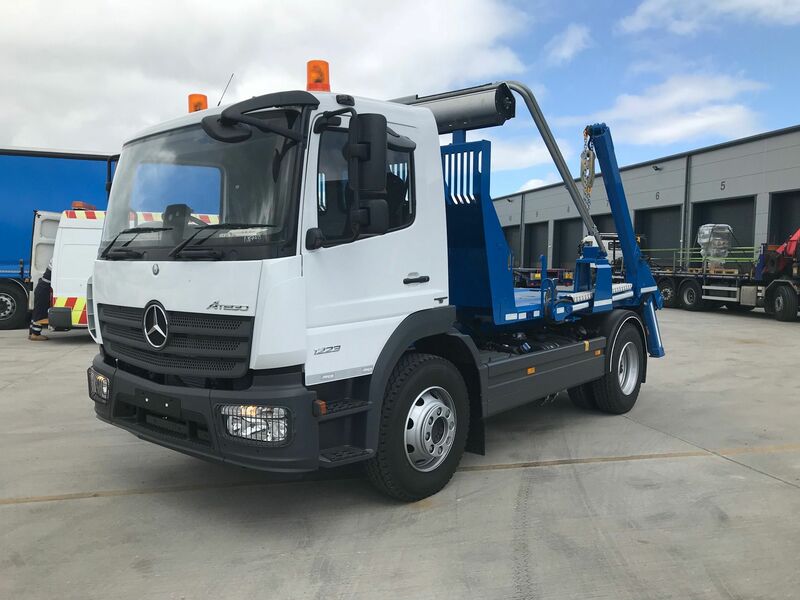 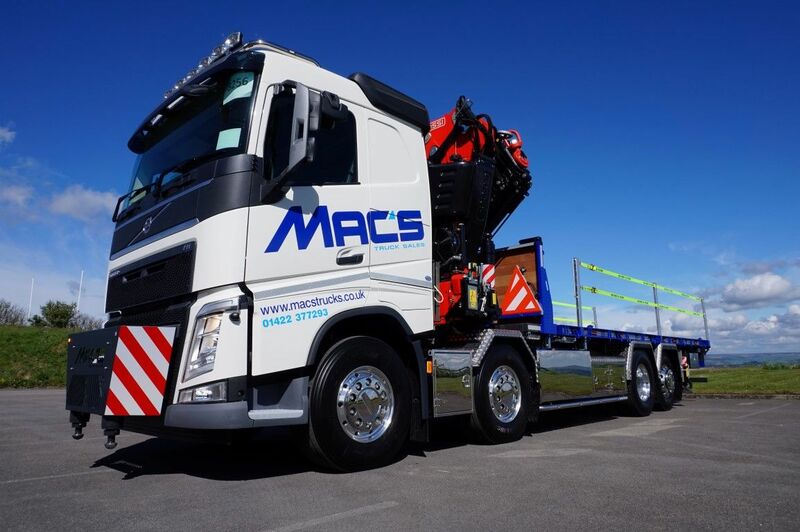 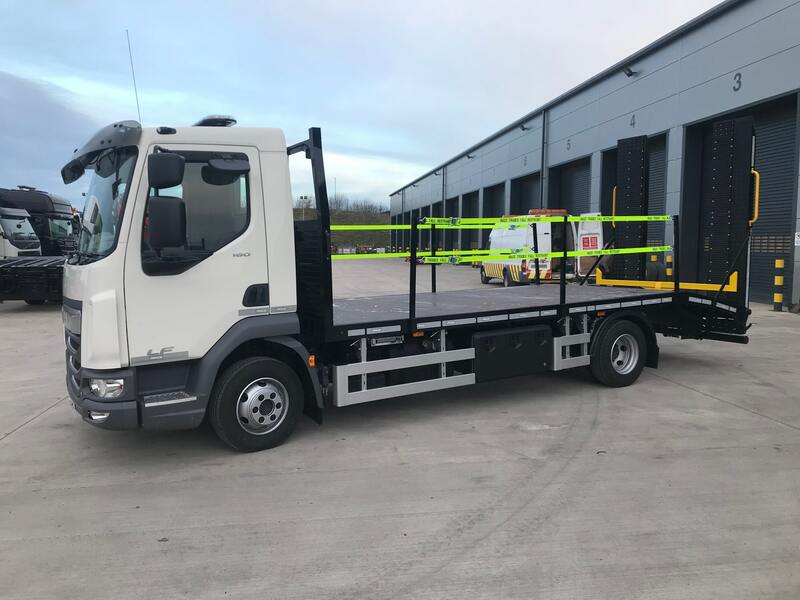 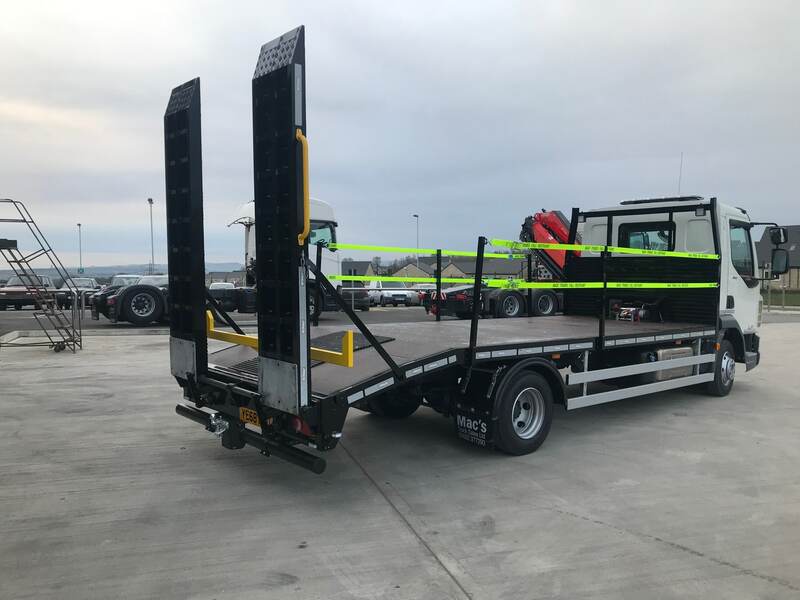 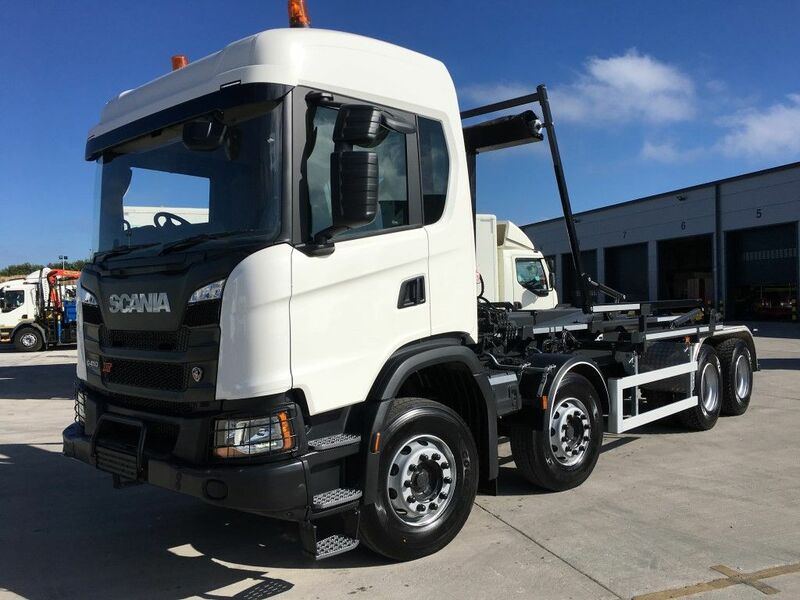 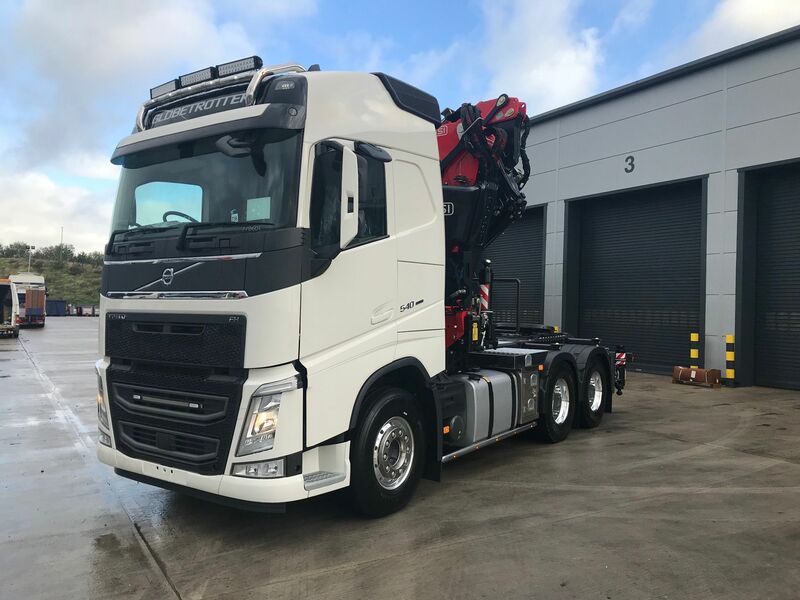 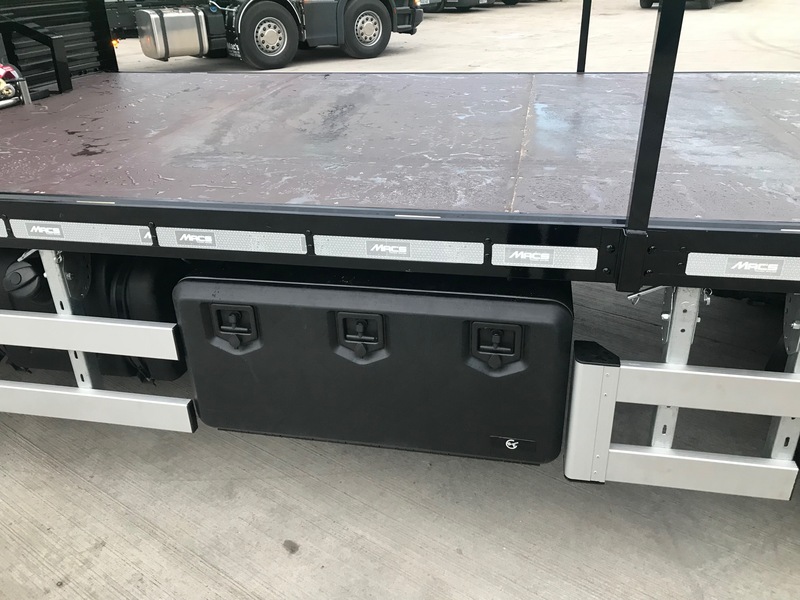 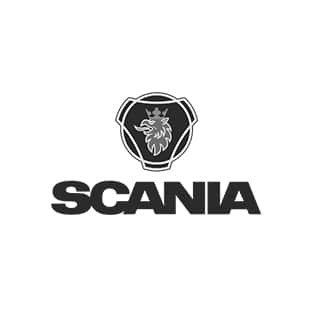 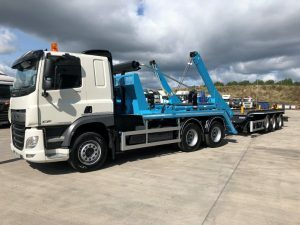 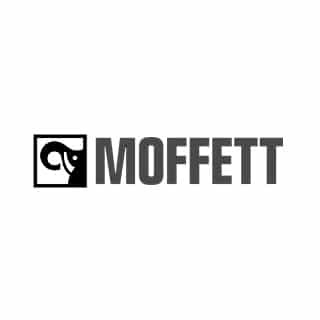 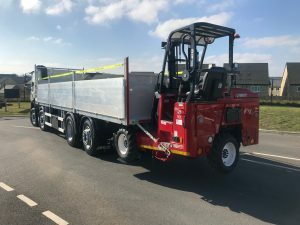 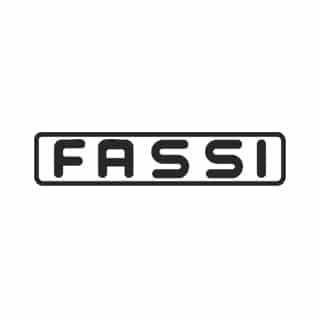 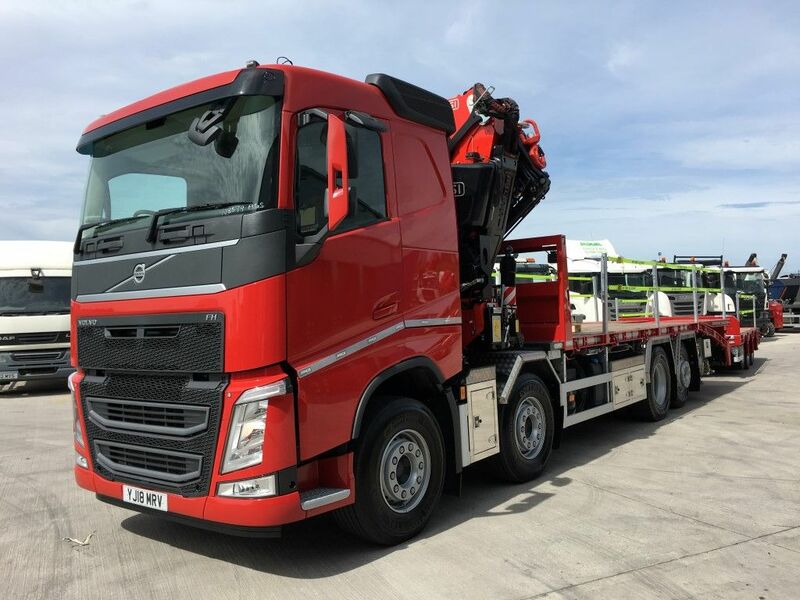 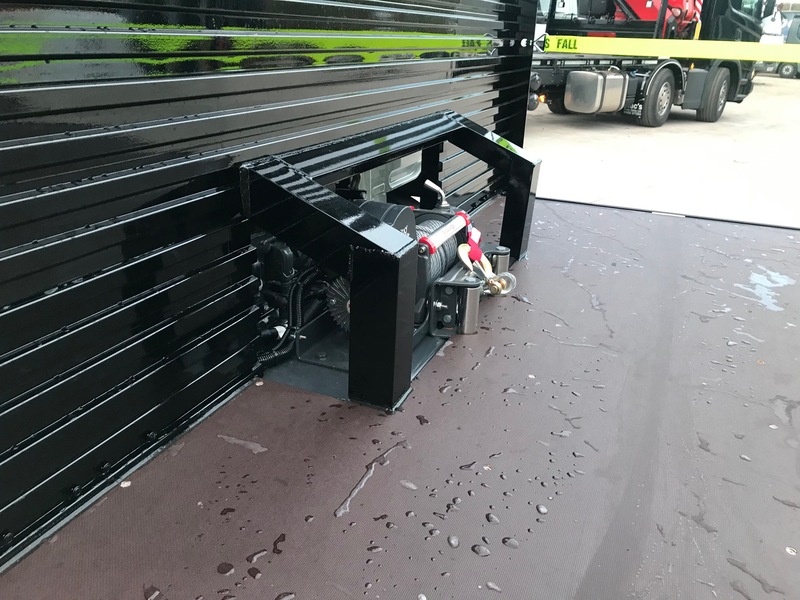 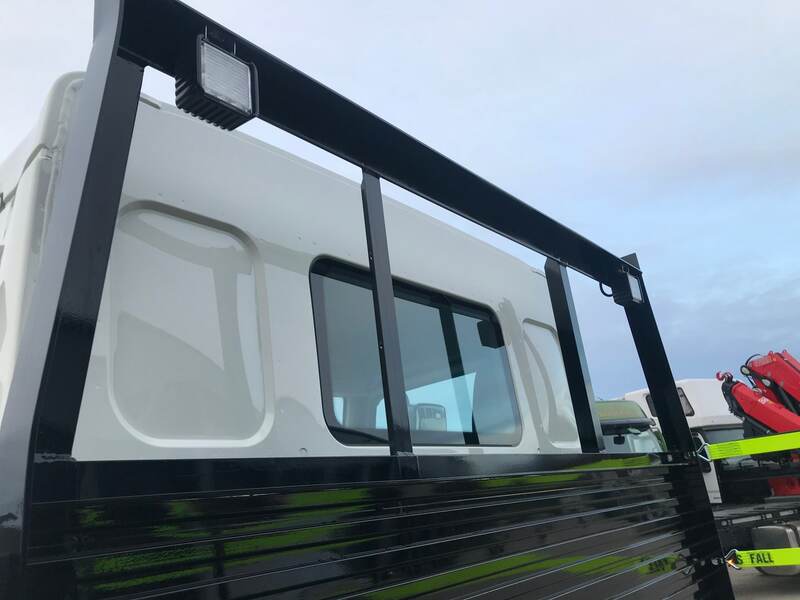 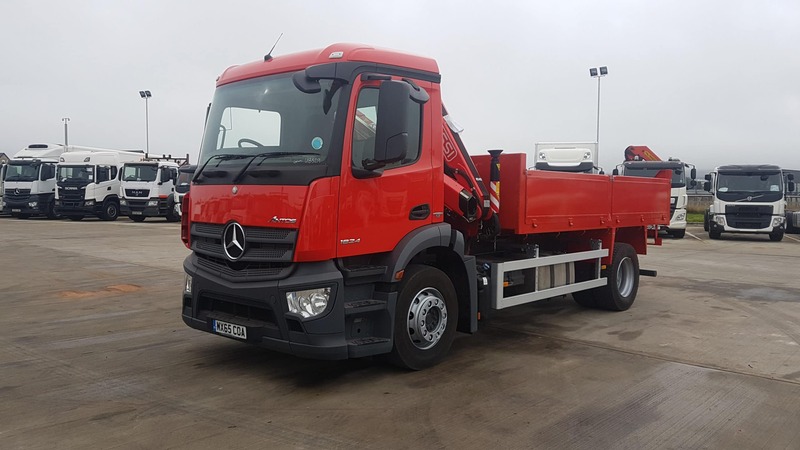 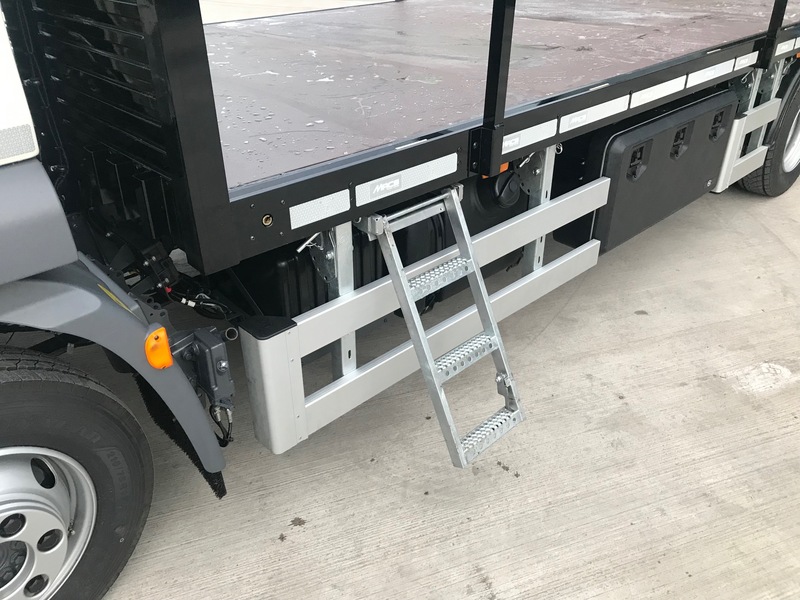 Beavertail Plant Body; Double Kink and Double Flip Ramps (Mesh Options Available), Fall Restraint, Access Ladder, Tray & Toolbox Storage, Hydraulic Loading Legs with HSE Warning System, Safety Side Window & Additional Electrical Options Available.